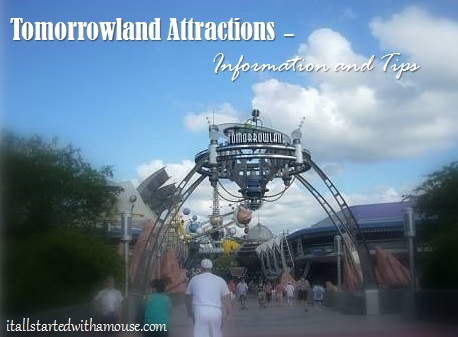 Below is a quick overview of each attraction in Tomorrowland at Magic Kingdom. This classic Disney attraction, modeled after the original created for the Worlds Fair, features Audio-Animatronics and 4 scenes, each set approximately 20 years apart showcasing our technological progress. Warning: Monster and human interaction! The amazing technology that allows us to communicate with Crush, the Sea Turtle, also allows the Monsters of Monstropolis to put on a comedy show to collect laughter to power their city.